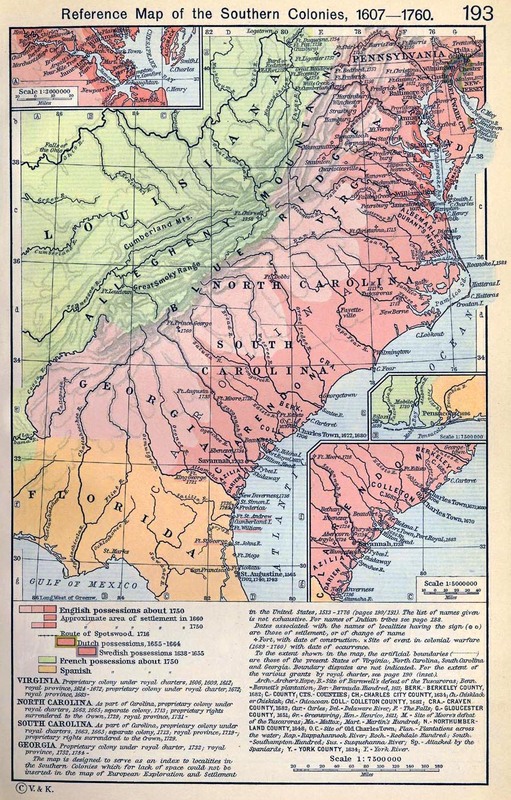 Reference Map of the Southern Colonies, 1607-1760. Insets: Settlements on the James River. The Georgian Coast.